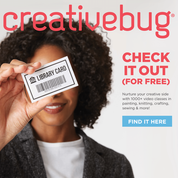 By signing up with your library card for Creativebug you'll enjoy unlimited access to over 1000 online art and craft classes. Watch classes anytime, anywhere. Since our classes never expire, you can start and stop projects at your own pace. ​Career Online High School (COHS) is an accredited high school diploma and career certificate program offered free of charge by Boulder Public Library in partnership with Colorado State Library. Boulder County residents who are 19-years-old or older are eligible to apply. Online instructor led and/or accredited courses Business, Tech Software, Graphic Design, Test Prep, and More!